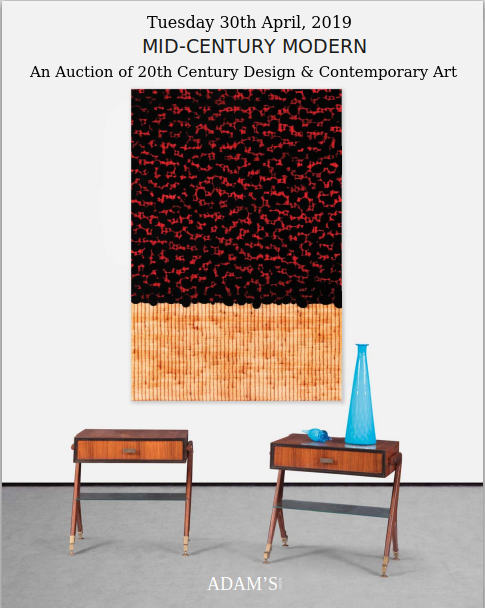 Strong prices at Whyte’s ‘Eclectic Collector’ Sale! Some extraordinary prices at Whyte’s ‘Eclectic Collector’ sale last Saturday (14th May, 2016), but it was an unlikely candidate that stole the show: a well worn ten pound note from 1939 with an estimate of €1,200-1,500 was eventually knocked down for an incredible €10,500! Above: Lot.306. 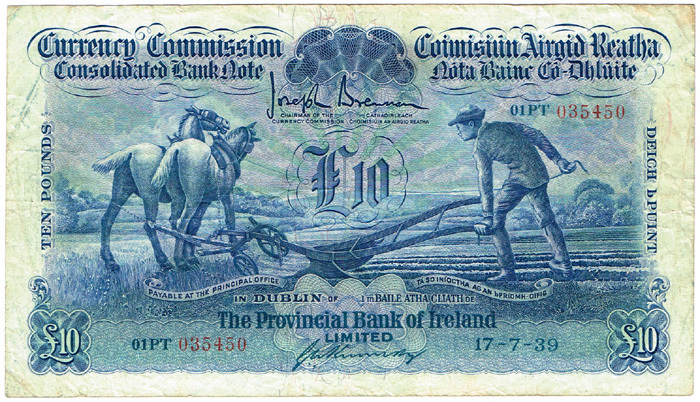 a Currency Commission Consolidated Banknote ‘Ploughman’ Provincial Bank of Ireland Ten Pound note – sold for €10,500 against its pre-sale estimate of €1,200-1,500. Left: Lot.50. 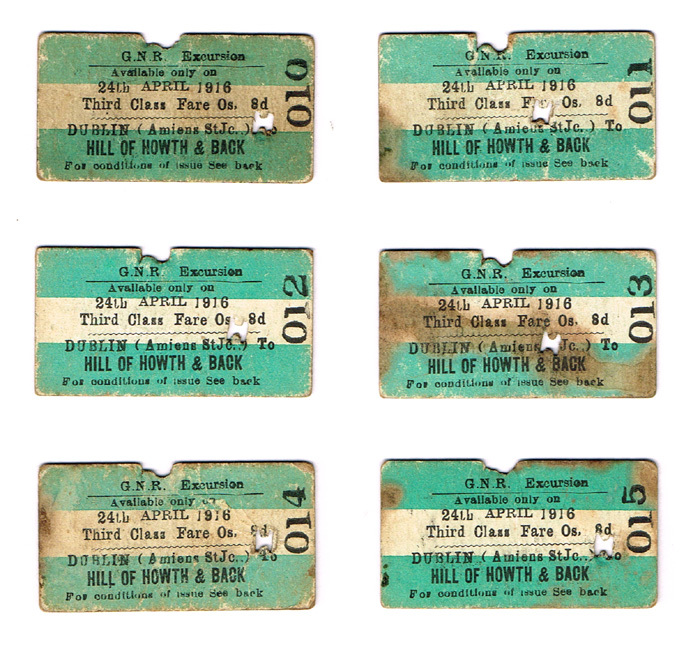 Six Great Northern Railway excursion tickets to the Hill of Howth – used in the outward direction only on April 24, 1916 (the 1st day of the Rising) – the return trains to the city all being cancelled; sold for €420 against a pre-sale estimate of €250-300. Right: Lot.49. 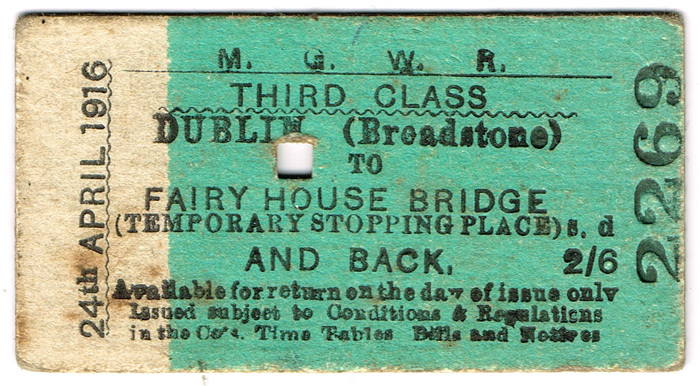 a Midland Great Western Railway 3rd class race day special ticket to Fairyhouse sold for €380 against a pre-sale estimate of €300-500. This is probably the highest price ever paid for an Irish railway ticket – I’m open to correction. 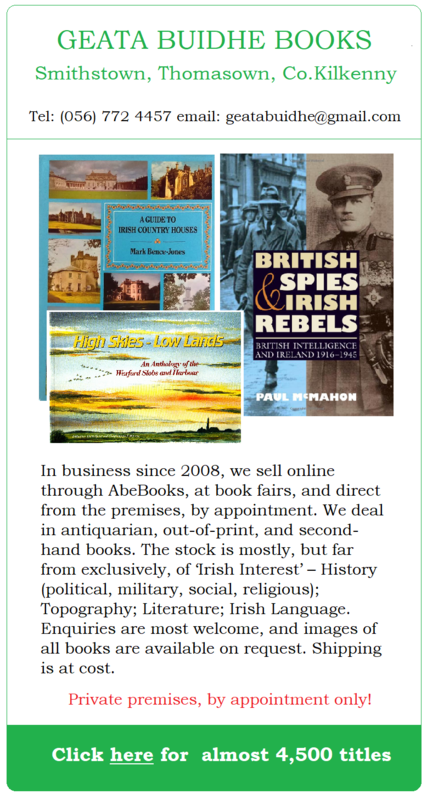 I’m off to scour my attic!